Alcohol dependence is a previous psychiatric diagnosis in which an individual is physically or psychologically dependent upon drinking alcohol. In 2013 it was reclassified as alcohol use disorder (alcoholism) along with alcohol abuse in DSM-5. The Alcohol Use Disorders Identification Test (AUDIT) is considered the most accurate alcohol screening tool for identifying potential alcohol misuse, including dependence. It was developed by the World Health Organisation, designed initially for use in primary healthcare settings with supporting guidance. Its use has replaced older screening tools such as CAGE but there are many shorter alcohol screening tools, mostly derived from the AUDIT. The Severity of Alcohol Dependence Questionnaire (SAD-Q) is a more specific twenty-item inventory for assessing the presence and severity of alcohol dependence. Because only 3 of the 7 DSM-IV criteria for alcohol dependence are required, not all patients meet the same criteria and therefore not all have the same symptoms and problems related to drinking. Not everyone with alcohol dependence, therefore, experiences physiological dependence. Alcohol dependence is differentiated from alcohol abuse by the presence of symptoms such as tolerance and withdrawal. Both alcohol dependence and alcohol abuse are sometimes referred to by the less specific term alcoholism. However, many definitions of alcoholism exist, and only some are compatible with alcohol abuse. There are two major differences between alcohol dependence and alcoholism as generally accepted by the medical community. Alcohol dependence refers to an entity in which only alcohol is the involved addictive agent. Alcoholism refers to an entity in which alcohol or any cross-tolerant addictive agent is involved. In alcohol dependence, reduction of alcohol, as defined within DSM-IV, can be attained by learning to control the use of alcohol. That is, a client can be offered a social learning approach that helps them to 'cope' with external pressures by re-learning their pattern of drinking alcohol. In alcoholism, patients are generally not presumed to be 'in remission' unless they are abstinent from alcohol. Treatments for alcohol dependence can be separated into two groups, those directed towards severely alcohol-dependent people, and those focused for those at risk of becoming dependent on alcohol. Treatment for alcohol dependence often involves utilizing relapse prevention, support groups, psychotherapy, and setting short-term goals. The Twelve-Step Program is also a popular process used by those wishing to recover from alcohol dependence. About 12% of American adults have had an alcohol dependence problem at some time in their life. In the UK the NHS estimates that around 9% of men and 4% of UK women show signs of alcohol dependence. The term 'alcohol dependence' has replaced 'alcoholism' as a term in order that individuals do not internalize the idea of cure and disease, but can approach alcohol as a chemical they may depend upon to cope with outside pressures. The contemporary definition of alcohol dependence is still based upon early research. There has been considerable scientific effort over the past several decades to identify and understand the core features of alcohol dependence. This work began in 1976, when the British psychiatrist Griffith Edwards and his American colleague Milton M. Gross  collaborated to produce a formulation of what had previously been understood as ‘alcoholism’ – the alcohol dependence syndrome. 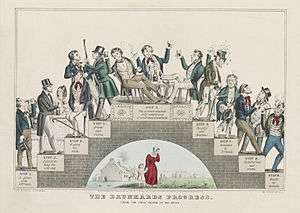 The alcohol dependence syndrome was seen as a cluster of seven elements that concur. It was argued that not all elements may be present in every case, but the picture is sufficiently regular and coherent to permit clinical recognition. The syndrome was also considered to exist in degrees of severity rather than as a categorical absolute. Thus, the proper question is not ‘whether a person is dependent on alcohol’, but ‘how far along the path of dependence has a person progressed’. ↑ http://www.alcoholcostcalculator.org/business/about/dsm.html Reference for the whole section. ↑ "AUDIT - Alcohol Use Disorders Identification Test". Alcohol Learning Centre. 28 June 2010. Retrieved 3 June 2012. ↑ "Alcohol Dependence and Treatment". ICAP Blue Book. International Center for Alcohol Policies. Retrieved 2 June 2012. ↑ "What is Alcohol Addiction: What Causes Alcohol Addiction?". MedicalBug. 6 January 2012. Retrieved 2 June 2012. ↑ Hasin D; et al. (2007). "Prevalence, Correlates, Disability, and Comorbidity of DSM-IV Alcohol Abuse and Dependence in the United States". Archives of General Psychiatry. 64 (7): 830–42. doi:10.1001/archpsyc.64.7.830. PMID 17606817. ↑ Irving B. Weiner; Donald K. Freedheim; George Stricker; Thomas A. Widiger (2003). Handbook of Psychology: Clinical psychology. John Wiley and Sons. pp. 201–. ISBN 978-0-471-39263-7. Retrieved 16 April 2010. SADD - Short Alcohol Dependence Data Questionnaire. A brief, self-administered questionnaire sometimes utilised in individual or group treatments.